Jackson has been asking to go to an SEC team vs Alabama game. 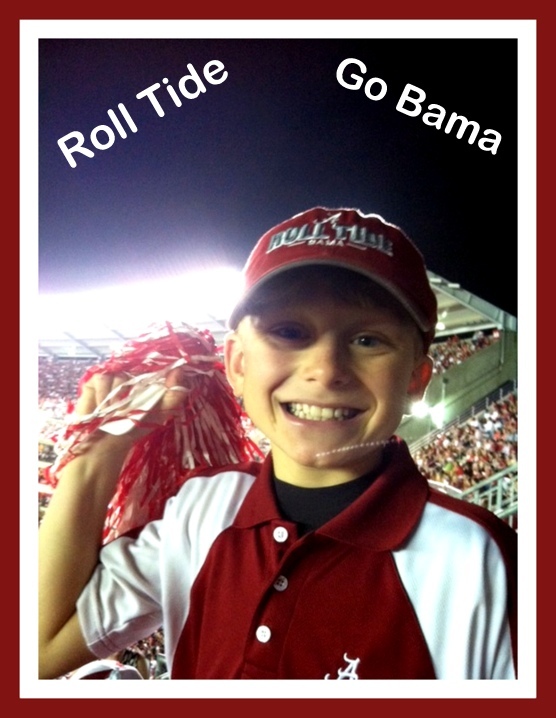 RP usually takes him to the games when "High School University" plays Alabama and now that he is older he has figured that out! Well his wish was granted thanks to some of our church friends who offered RP and JP their tickets to the Ole Miss game. I really can't believe I "let" him go to this late game... it did not start until 8:30... needless to say they were some tired boys b.c did not get home until 3:30 in the morning!